Rumors and folklore claim that the Covered Wagon shop, formerly known as the Manual Springer house, was once used as a speakeasy and brothel during prohibition. Additionally, the building is believed to be haunted by the ghost of a prostitute named Scarlett. According to the legend, Scarlett and another unnamed prostitute got into an argument over a wealthy client on the stairs of the building. The argument turned violent and ended with Scarlett being stabbed in the stomach. She died on the stairs from blood loss before medical assistance could arrive. Because the building was a speakeasy, the local law enforcement was paid off and murder was believed to be covered up. This is why she supposedly haunts the building. Our investigation report found HERE, provided alternative explanations for the paranormal activity that suggests it was nothing more than a ghost story. However, confirmation of some of the facts has assisted in validating our findings. 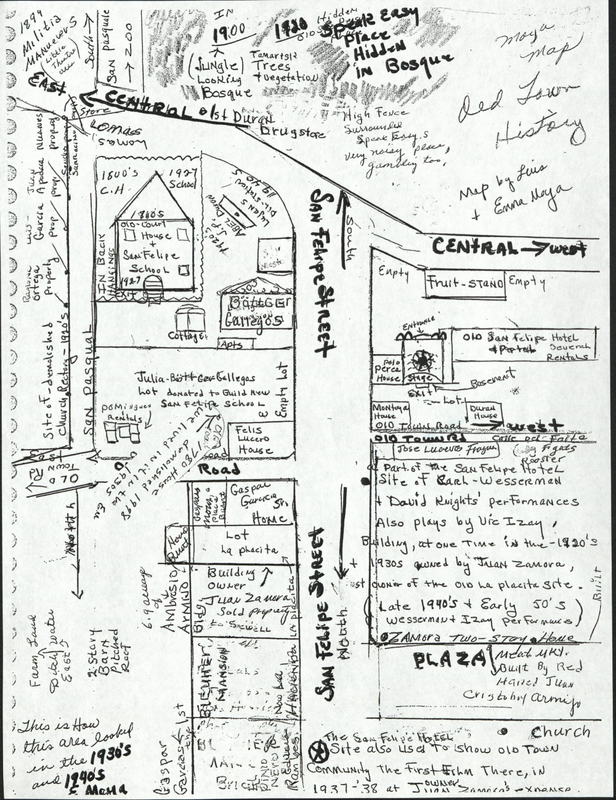 A hand-drawn map found in the Emma Moya Collection at the University of New Mexico further debunks the ghost story by showing the exact location of the speak-easy in Old Town. 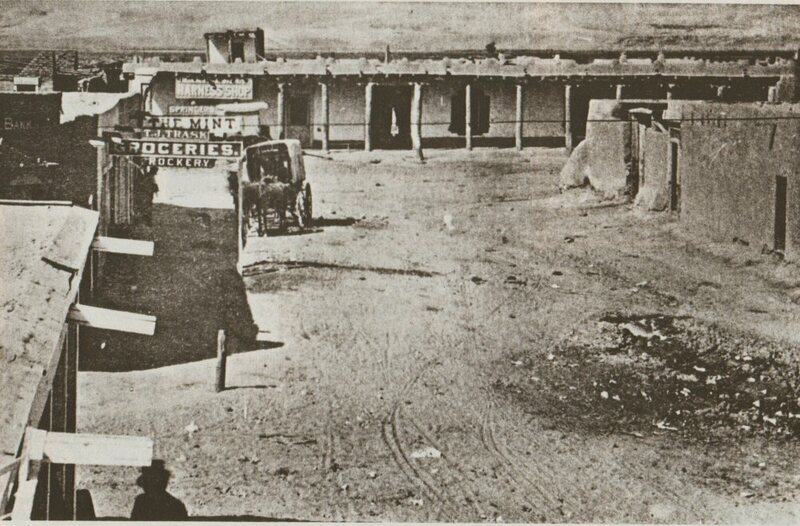 It was actually located south of Central street in an area which, at that time, was in the bosque (river forest). It was surrounded by a high fence as described as being "very noisy". So how did the rumor that Manual Springer house was a speak-easy start? Before Springer built his home on the Plaza, he first had a saloon, called the Mint. The photo below south the west end of James Street (now South Plaza) about 1880.